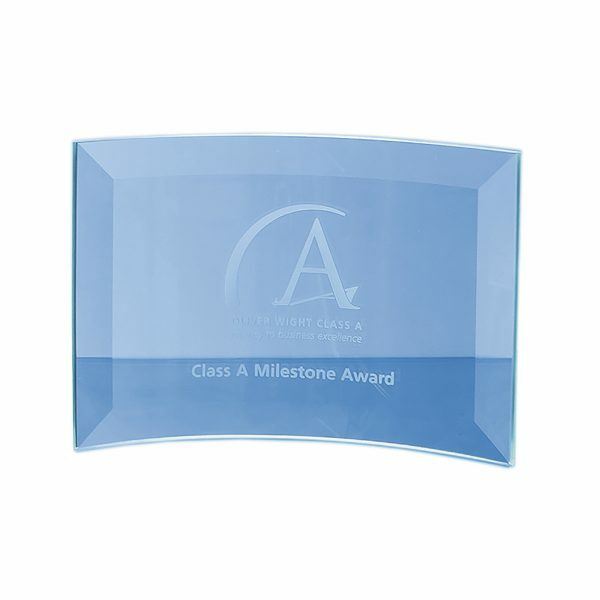 The stylish jade glass bevelled crescent is an ideal inexpensive recognition award. The stylish jade glass bevelled crescent is an ideal inexpensive recognition award. The price includes sandblast engraving and an individual flat pack gift box.